Rights: Original version in Portuguese by Fernanda Rezende. A new study group will analyze the health inequities and their relation to the geographical context of cities. The proposal of its creation was approved by the IEA's Board in a meeting held on August 16. 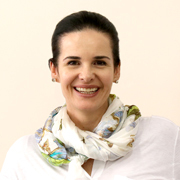 The group Urban Space and Health will be coordinated by geographer Ligia Vizeu Barrozo, a professor at the Department of Geography of USP's Faculty of Philosophy, Languages and Literature, and Human Sciences (FFLCH). The forecast is that the activities will last four years starting from August 2016. In addition to geography, the transdisciplinary group has members from areas such as urban planning, cartography, epidemiology, physical activity and health. 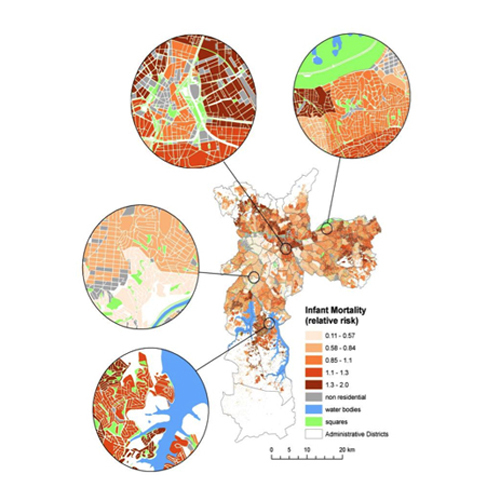 According to the research project, the power of maps will be used to identify and highlight health inequities mainly related to socio-economic conditions and urban morphology. The goal is to have evidence to base policy recommendations in order to reduce inequities in health. The group plans to use indicators such as life expectancy at birth and Potential Years of Life Lost (PYLL), evaluating how each of them appears in certain areas of cities. The first indicator "reflects the cumulative effect of the impact of risk factors, the occurrence and severity of diseases, and the effectiveness of interventions and treatment", and identifies when inequality becomes iniquity. In turn, the PYLL measures premature mortality (currently, the reference age is 70), focusing on the social and economic consequences of mortality. To observe the geographical variations in the results of this indicator can help in the planning of local health, according to the research project. "The maps potentiate the investigation of the influence of the geographical context and the social determinants of health, particularly for allowing the visualization of spatial relationships, identifying iniquitous areas and the development of hypotheses," justify the researchers. An example of the studies to be carried out is the evaluation of urban morphology, which can promote or hinder the daily practice of displacement, favoring physical inactivity in certain locations or not. Therefore, the researchers take aspects such as topography, length of blocks, population density, urban sprawl, and density connections between streets, street lighting and paving into account. According to the project, there are studies that raise the possibility that people living in more dense areas with well-connected streets and a more diverse use of the soil tend to be more physically active. "The population is unequally exposed to urban infrastructure in terms of their morphology with regard to the pattern of the streets, to the cover of pavements, presence of bicycle paths, availability and accessibility to public transportation and aesthetics and safety, as pleasant and safe locations are more used and promote the practice of physical activity," they evaluate.